We are excited to open registration for our 3rd fall youth season! Thank you all for making this such an incredible experience, we look forward to many more years of field hockey fun with our youth! 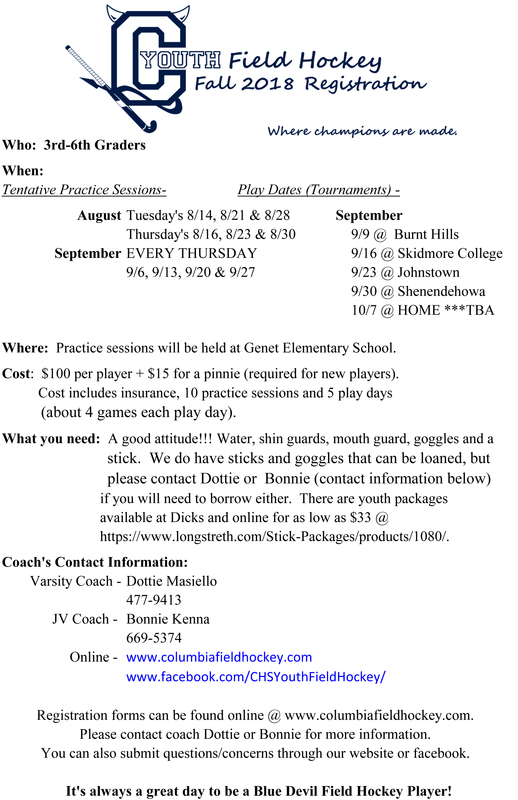 Please submit the below registration to Coach Dottie or Coach Bonnie @ 328 Sunset Ave. Rensselaer, NY 12144. Our first session has been postponed to Thursday 8/16 @ 5:30pm due to field conditions/weather. We will remake this session another TBA Tuesday. *PDF version of information flyer, click here. 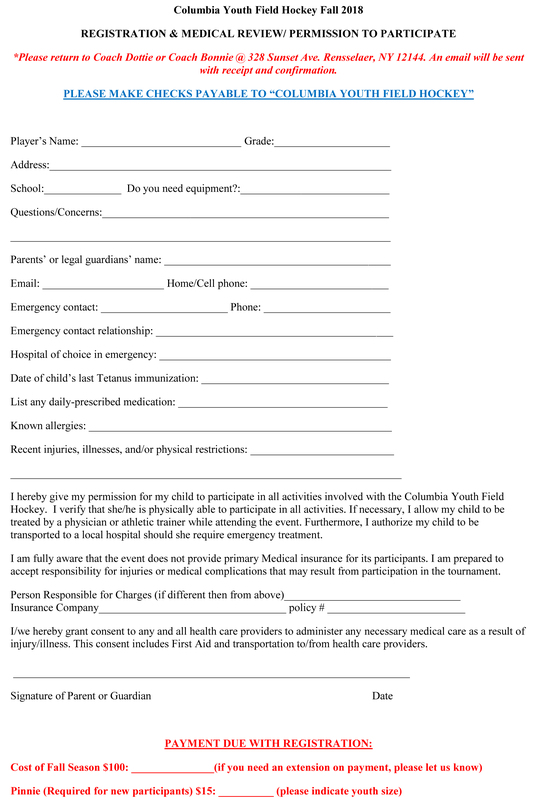 *PDF version of registration form/medical release click here. When do the registrations for 2018 open please?